The pharmaceutical industry is looking for new ways to better identify populations that will react positively to new drugs, and molecular pathology can fill that need. 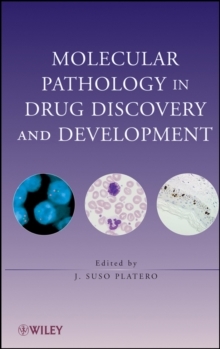 Molecular Pathology in Drug Discovery and Development provides an authoritative overview of molecular pathology and its applications and explains the significance of molecular pathology approaches to drug discovery and development. This book is an essential resource for practitioners in drug discovery and development, preclinical and clinical researchers, toxicologists and pharmacologists, molecular and cell biologists, and pathologists.